1. 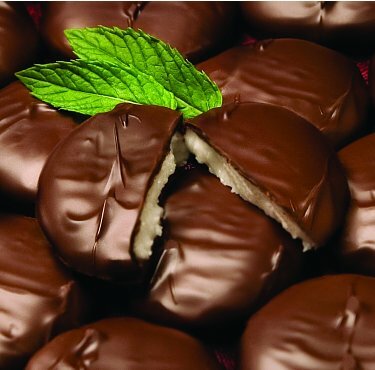 In 1940 York Cone Co. produces the first Peppermint Patties. 2. Peppermint Patties were sold only in northeastern states until 1975. 3. Peppermint Patties have one of the least about of calories and fat compared to other nationally popular candy bars. 5. Patricia Reichardt is Peppermint Patty’s actual name. 1785 The Philadelphia Society for Promoting Agriculture was founded. It is the oldest active agricultural organization in the U.S.
1847 Thomas Alva Edison was born. Chefs use his inventions everyday, including light and music to work by. 1926 Paul Bocuse, French chef, was born at Collonges-au-Mont-d’Or, France. He is known as one of the founders of ‘nouvelle cuisine’. 1963 Julia Child’s ‘The French Chef’ premiered on TV. 1977 The heaviest lobster known was caught off Nova Scotia, weighing in at 44 lb 6 oz (20.14 kg). 1994 Use of the genetically engineered growth hormone for cows, RBGH begins.